Some days ago we were in Pistoia (Tuscany), visiting The Salvadori Arte foundry. They makes bronze sculptures for the most important Italian and foreign artists as Barni, Mitoraj, Botero. We was there thanks to Giovanni Balderi‘s new works! Salvadori Arte casts works in bronze using the “cire perdue” or lost wax method, the same technique used through the ages first by the Egyptians, then by the Greeks, Etruscan and Roman. This technique consists in covering with wax, that will be later modelled a refractory clay support; then another clay layer is put on the wax so that is encased between two masses of clay. By heating this clay container to a high heat, the wax melts and drips ut through some purposely made holes. The liquid alloy is then poured into the thin space left by the wax, usually just a few millimetres, then the allow cools and hardens the bronze cast has been accomplished. At last, through oxidation and thermal treatment, the bronze receives the patina. “Work in progress” documents the artist Simona Ragazzi during the creation of the sculpture “Stele Maschile”. This amazing sculpture was part of the solo exhibition “Beyond Time. Finds of the twenty-first Century A.D.“, held in iSculpture Gallery. A work of art transmits and expresses messages and feelings, almost always by itself, without the presence of its author next to it. But knowing the genesis of the artwork (whose hands created it? which thoughts originated it?) is a special experience, and in our case even a social experience. It’s an experience we have proposed through a series of meetings taking shape in the collective exhibition Meet Ar_tFeed Art. Organised under the High Patronage of the Italian Republic, of the European Union and of the Region of Tuscany, the project ”My Tuscan Experience‘‘, of which this exhibition is the final act, has involved five high quality tourist accomodations, two young and lively art galleries, 14 Tuscan artists: a common event and a project created for a selected audience choosing Val d’Elsa as its aim, with all its quality aspects. There is a second theme and a leit motiv in this exhibition: the dictionary of the words used by the artists to describe their work, that has united and sometimes divided the description of the works of art. The instinctive translations of the words into the different languages spoken by the people who were present, is an act to show that art does not need google-translation and perfectionism, but it needs to find itself within its group and its social background. Each artist has a verbal tag*: a list of terms and expressions allowing us to write down the different ways of saying belonging to the foreign guests, and which has an interest in giving the work of art ”created in Tuscany” a non-provincial understanding and interpretation. The hotels: Relais della Rovere, Sovestro, Villa San Lucchese, Bel Soggiorno have made their rooms and their professionality available for a warm welcome, and the artists of the different Galleries have made it special to exchange visaual and verbal contacts, firstly taking part in the conversation and in the research. In the Galleries Francesca Sensi Arte a Colori (Colle Val d’Elsa) and iSculpture (San Gimignano) these artists’ works of art will be shown from October 4st 2014: Elisa Bertaglia, Nicola Bertellotti, Matteo Cocci, Susan Leyland, Marco Manzella, Alessandro Reggioli, Tommaso Santucci, Mariano Fuga, Marco Cipolli, Irene Giannaccini, Fabrizio Lucchesi, Alessandro Marzetti, Simona Ragazzi and the tagged words, working as an international ”didascalic tour” of the presented artwork. 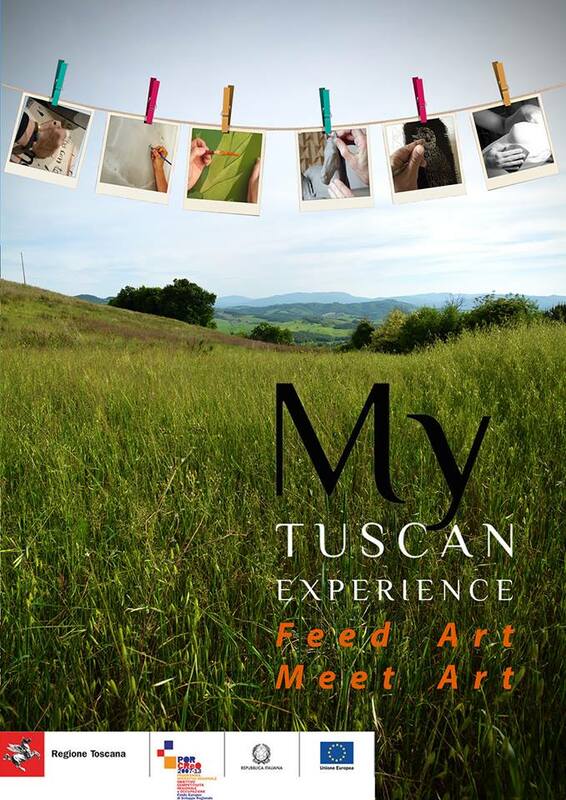 Meet Art_Feed Art is a collective exhibition conceived for enhancing Tuscan excellencies and it represents the start of a new project called ”Experential Tourism”. Opening at Arte a Colori Gallery – Colle Val d’Elsa (SI): Saturday October 04th at 6.00 p.m. Opening at iSculpture Gallery – San Gimignano (SI): Sunday October 05th at 6.00 p.m.
Feed Art – Meet Art è una mostra collettiva pensata per la valorizzazione delle eccellenze (created in Toscana) ed è l’incipit di nuovo progetto chiamato “Turismo Esperienziale“. The iSculpture Gallery is grateful to all the guests that kindly attended our events! 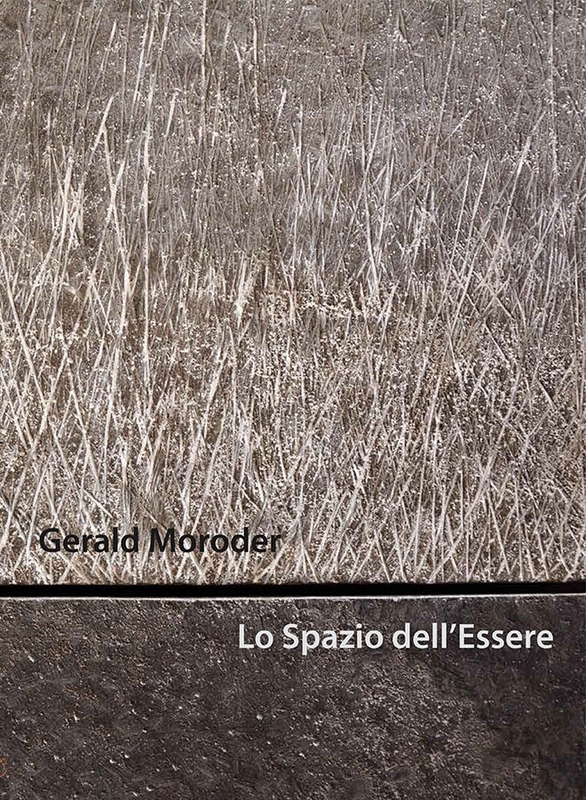 iSculpture Gallery is pleased to present the solo exhibition of Gerald Moroder “Lo spazio dell’Essere” (The Space of Being) which will be held at its venue in San Gimignano (SI). An exhibition Catalogue will be printed by the gallery. At the same time, two site specific installations will be presented at Castello di Casole (Siena) with the titles of “Eccomi !” and “Guardare oltre“. The new art project by Gerald Moroder (Milan, 1972), “The Space of Being”, arises as a starting point for a new design research, totally addressed to the exaltation of matter, by undertaking a so different and more radical research than in the past. Ever since Gerald Moroder’s figures feel the need to become essential, to transcend until dematerializing and being mere spirit. Its lines, carved first in wood and later formed in a porphyry mass, despite gravity of the material, seem to dance, wandering aimlessly or freeing themselves in the air, bowing backwards in order to cover an indefinite space. With “The Space of Being“, the sculptor leaves its curved or slender human figure, distinctive of its production, but it continues to live there as the breath of life, nearly celestial. It’s the material and the most sublime concept of Being to characterize Gerald Moroder’s poetic and source of inspiration. The panels presented in the exhibition represent a meditation on time and space modulated in plastic terms. The eroded and scratched surfaces, with concave accents and sharp cuts, represent a profound reflection on the separation of private and figuration. They are essential in their complexity, they are figurative in terms of pure abstraction, they are starry nights, branches that are intertwined withgrass blades. In order to propose a more careful and a wide-ranging reading of his artistic production, the works for the site specific installation at the beautiful setting of the Castello di Casole (Siena) were chosen from the triptych “Guardare Oltre” and “Eccomi!”. These works represent the culmination of years of research, both material and stylistic, as the Art Critic Chiara Canali highlights: “In an ideal circular vortex, the lean and long-limbed figures modeled by the artist are the same man caught in different stages of dematerialization that wants to arrive at a form of levity, fade, intangibility of the being”. Again it’s the material which unites two apparently distinct productions. The material represents the artist’s binding to the own region from the initial use of wood in the local tradition to the porphyry, the rock of his mountains. Through these ancient materials he is determined to find a configuration that matches the sense of a break with the world, or a wound, or a laceration with the existing to be bridged with a hug. Opening at the Hotel Castello di Casole (SI): Friday, September 5th at 6 p.m. Presentation of the Solo Exhibition at iSculpture Gallery San Gimignano (SI): Saturday September 6th at 6 p.m. He was born in Milan in 1972. After the Art Institute of Ortisei (BZ), he began an apprenticeship with different sculptors. Member of Unika, an association of craftsmen and artists of Val Gardena, created to protect and guarantee the local arts and craftsmanship. Over the years he has participated in numerous public and private exhibitions in different art galleries and museums, both in Italy and abroad, particularly in Germany, Austria and Switzerland. He creates his sculptures with various materials such as wood, iron, porphyry mixtures, soil and brick. In the centre of his artistic quest, Moroder puts the human being whose fragility he lays bare thanks to formal reduction and thus recalling more universal existential issues. iSculpture was established in 2012 by Francesca Cundari and Patrick Pii, with the aim to promote both young and successful Italian sculptors. Our attention is mostly focused on the research of the new borders of the Italian figurative arts. Updated in taste and in the concept of “beauty”, sculpture is perhaps the most complete art kind, in which matter and shape come together in a continuous challenge to renewal, without ever leaving a constant acquisition of consolidated parameters relating to balance and know-how. The works of our selected artists represent a significant example of contemporary Italian sculptural production in the field of ceramics, bronze, alabaster, wood, marble and iron. Tradition and modernity merge together in the 14th century architecture and the renovation works, facilitating a timeless dialogue between the art works and the spectator. Its first location in San Gimignano, is today joined by a further exhibiting space in Casole d’Elsa (SI), at the border between the provinces of Siena and Pisa, crossed by international cultural and artistic fervors since many years ago. Castello di Casole, one of the largest private estates in Italy, is located in heart of Tuscany, near the beautiful cities of Florence, Siena and San Gimignano. The castle’s rich history dates back to the end of the 10th century, when it was built and christened Querceto Manor. Querceto Manor often hosted the political exiles of nearby Siena until it fell into decline starting in the 15th century. Owned and reconstructed during the 19th and 20th centuries by the Bargagli family of Siena – esteemed local aristocracy – the castle rose to a prominent position in the region, as the surrounding estate was a leading agricultural producer with 31 farms on 2200 acres. During the late 20th century the Castello was owned by prominent Italian film director Luchino Visconti, who entertained European and Hollywood luminaries throughout the estate. For the Timbers Resorts, owner of the estate, has always been a priority to preserve the rich history of Tuscany and the constant cultural promotion of the “Made in Italy”. Among the expressions of this desire is part of the program of events and exhibitions in collaboration with iSculpture Gallery in San Gimignano.